Published By Songs In The Key Of Knife / Westbury Music / Warner-Tamerlane Publishing. Incorporates Elements Of "Straight Time" By David Shire Published By Warner / Tamerlane Publishing / Warner / Chappell Music Ltd. Published By Songs In The Key Of Knife / Westbury Music. Recorded And Mixed At Red Square Studios, Penarth. ℗ & © Hospital Records Ltd 2004. High Contrast's Album "High Society" Drops 27th September. Other (Runout Etchings Side A (Hand Written)): STU. 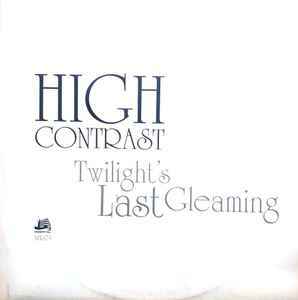 Twilights last gleaming is fantastic but to be honest, Made it last night almost eclipses it for me. Two great summer tracks. Twilights last gleaming is just beautiful. Proper summer festival tune! "Have you heard???" Twilight's last gleeming is one of the tracks that made that summer so beautiful. Puts a smile on one's face. Deep bassline and a nice high vocal. When the second break comes in, we get a totally different pattern but the same melody. Very catchy, you'll be singing it all day!